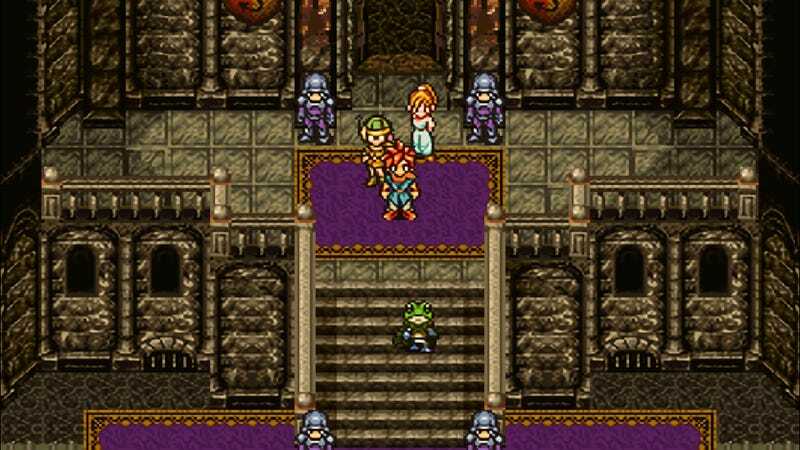 In February, publisher Square Enix surprised everyone with the release of Chrono Trigger on PC, leading to a rollercoaster of emotions as fans first grew elated to have new access to a classic game, then disappointed when they saw what it looked like. Today, the publisher says it’s hoping to change that. When Chrono Trigger launched on Steam in late February, fans quickly noticed that the PC version was actually a port of the one we’d seen on mobile phones. Between an ugly user interface and resolution boosts that magnified all of the game’s original blemishes, it was safe to say the game looked awful. Now we just need Final Fantasy V and Final Fantasy VI to get the same sort of patch. Please, Square Enix?